Chapter Member -- $65 -- Members receive local Chapter-member benefits, discounts and are permitted to vote in Chapter elections. National Member -- $55.00 -- This discounted membership is available to only to employees of a USGBC National Member Company (see copy at right). Students -- $26 -- This discounted membership is available to full-time students (proof of full-time status upon request). Emerging Professionals -- $26 -- This discounted membership is available for individuals under 30 years of age or four years after college graduation. Note that changes to member profiles on the USGBC National site will not be reflected in the Florida Capital Region Chapter website. To update the information in your Chapter-member profile, follow the instructions below. 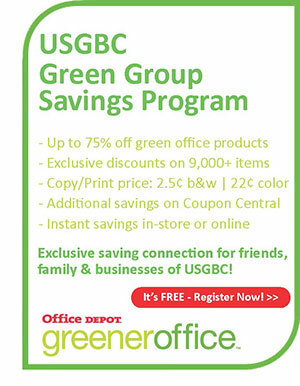 If you need any assistance with updating the items above, please contact info@usgbc-fcrc.org.